About ICAR AIEEA 2019 Exam: The full form of ICAR AIEEA is Indian Council of Agricultural Research All India Entrance Examination for Admission. ICAR 2019 (The Indian Council of Agricultural Research) is going to conduct its 23rd All India entrance examination. There are three entrance exams AIEEA-UG 2019, AIEEA-PG 2019 and AICE-JRF/SRF 2019. Some fixed percentage of seats are reserved in ICAR affiliated agricultural universities through ICAR 2019 exam only and ICAR provides a scholarship to the students as per the courses as well. Conducting Body: It is conducted by the National Testing Agency (NTA). The Council is the apex body for coordinating, guiding and managing research and education in agriculture including horticulture, fisheries and animal sciences in the entire country. 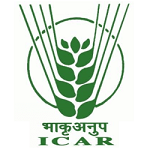 Headquarters: The ICAR has its headquarters in Delhi. 4 Central Universities (BHU, AMU, Viswa Bharati, and Nagaland University) awarding various kinds of degrees in different disciplines of agricultural, veterinary and allied sciences. Subject Domains: Under ICAR 2019, the undergraduate degree can be done in 10 subject-specific domains of agriculture and allied sciences. Master's degree can be done in about 95 subjects. All of these programmes are awarded by universities associated with the ICAR and are well recognized and accepted throughout the globe. Course: This exam is conducted for admission in Bachelor's degree programmes of B.Sc. or B.Tech. in various domains. Percentage of seats reserved in Universities: 15% of seats are reserved through AIEEA-UG 2019 in accredited agricultural universities. 100% seats are reserved at NDRI Karnal, RLB CAU Jhansi, Dr RP CAU Pusa through AIEEA-UG 2019 for academic session 2018-19. Scholarships: Student who gets admission through AIEEA-UG 2019 will get a scholarship named as NTS(National Talent Scholarship) at the rate of INR 2000/- per month but only if he/she takes admission in a state different from his/her state of domicile and his/her course comes under scholarship approved course. Course: This exam is conducted for admission in Master's degree programmes of M. Sc., M. V. Sc., or MBA in various domains. Percentage of seats reserved in Universities: 25% of seats are reserved through AIEEA-PG 2019 in agricultural universities. 100% seats are reserved at ICAR Deemed Universities [Indian Agricultural Research Institute(IARI), Indian Veterinary Research Institute(IVRI), National Dairy Research Institute (NDRI) and Central Institute of Fisheries Education (CIFE)] and Dr.RP CAU Pusa through AIEEA-PG 2019 for academic session 2018-19. Scholarships: Student who gets admission through AIEEA-PG 2019 will get a scholarship named as NTS(PGS)(National Talent Scholarship for postgraduate studies) at the rate of Rs. 3000/- per month but only if he/she takes admission in a state different from his/her state of domicile and his/her course comes under scholarship approved course. Course: This exam is conducted for admission in Doctoral programmes of Ph.D. for the award of JRF/SRF(PGS). Percentage of seats reserved in Universities: 25% of seats are reserved through AICE-JRF/SRF(PGS) 2019 in agricultural universities under ICAR-AU system. 100% seats are reserved at Dr.RP CAU Pusa through AICE-JRF/SRF(PGS) 2019 for academic session 2018-19. Scholarships: Student who gets admission through AICE-JRF/SRF(PGS) 2019 will get a scholarship named as SRF/JRF(PGS). Postgraduates other than in Veterinary Science will get a scholarship of ₹ 15,000/- p.m. (fixed) for 1st & 2nd year and ₹17,500/- p.m. (fixed) for the 3rd year. Postgraduates in Veterinary Science will get a scholarship of ₹17,500/- p.m. (fixed) for 1st & 2nd year and ₹ 18,750/- p.m. (fixed) for the 3rd year. A Contingent grant of Rs. 10,000/- per year for procurement of essential chemicals, books and travel connected with research work will be uniformly paid to all the awardees. The frequency of ICAR AIEEA 2019: This exam is conducted once in a year. Mode of ICAR AIEEA 2019 exam and counselling: There will be an online exam (CBT- Computer Based Test) and online counselling only. UG: 600 marks; PG: 640 marks. ICAR 2019 Exam has the following courses under its umbrella. After appearing for the exam, the candidates can make a choice for any of these courses. The following courses are offered after the ICAR 2019 AICE-JRF/SRF Exam. Application Form Date: ICAR AIEEA 2019 Application Form will be available from 1st April 2019. Admit Card Date: ICAR AIEEA 2019 Admit Card will be available for download from 5th June 2019 onwards. Feel free to check ICAR 2019 Important Dates for other important dates regarding ICAR AIEEA 2019 Exam. UG Courses: For the Undergraduate courses, the candidates should have passed 10+2 from any of the Govt. recognized board or equivalent with a minimum 50% aggregate and for SC/ST candidates the minimum aggregate would be 40%. PG Courses: For the Postgraduate courses under the ICAR AIEEA 2019, the candidates should have cleared his/her graduation from any recognized university with a minimum of 60% aggregate. ICAR 2019 Application Form: Candidates can fill the ICAR 2019 Application Form via online mode for both UG and PG programmes. Documents Required: Candidates have to upload the required documents such as scanned passport size photographs, digital signature, and thumb impression in order to complete the application process. For more information related to the exam form, check ICAR 2019 Application Form section. ICAR AIEEA Admit Card 2019 will be released on 5th June 2019. Visit the ICAR 2019 Official Website and click on the link 'Download Admit Card' and enter the application number, password. Click on the 'Submit' button then download the admit card and take a print of it for further reference. The ICAR 2019 admit card is a mandatory document for the candidates appearing for the ICAR entrance exam. For more information on hall ticket, you can refer to the ICAR AIEEA 2019 Admit Card section. Stream-A consists of questions from subjects like Physics, Chemistry and Agriculture/Biology subjects. Stream-B exam paper will consist of questions from subjects like Physics, Chemistry, and Mathematics. In AIEEA UG Stream-A exam paper, there are questions from both subjects – Biology and Agriculture. Candidates need to attempt questions from either of the subjects. Candidates have to attempt 180 multiple choice questions. In which, for each correct answer 4 marks will be awarded and 1 mark will be deducted for every wrong answer. ICAR AIEEA 2019 PG Exam: The ICAR AIEEA 2019 Exam comprises of 150 MCQ based questions in which for every correct answer 4 marks will be awarded and for every wrong attempt 1 mark will be deducted. Candidates also have to attempt 10 cross-matching type questions in which, for every correct response 5 marks will be awarded and for every wrong attempt, 0.2 marks will be deducted. ICAR 2019 UG Exam Syllabus: Candidate will have Physics, Chemistry and Biology/Agriculture subject for ICAR AIEEA 2019 Exam. ICAR 2019 PG Exam Syllabus: Candidate will have subjects like Entomology, social sciences, statistical sciences, horticulture, forestry science, water science technology, etc. for ICAR AIEEA 2019 PG Exam. The detailed information regarding syllabus is provided in ICAR Exam Syllabus 2019. ICAR 2019 Cutoff will depend on the number of candidates applying for the exam, the number of seats availabe for the admission, difficulty of exam etc. For more information about the previous year cutoff, please feel free to go to the ICAR Cutoff 2019 section. Result Date: Results of ICAR AIEEA 2019 Exam will be available from 17th July 2019 on the official website. The result will be declared in both merit-wise as will as category-wise. Counselling Mode: Candidates are required to register online for the ICAR counselling round. The candidate who qualifies the ICAR AIEEA 2019 Result can apply for the counselling. Counselling Based: Candidates will get admissions based on the merit list. Q: For the year 2019, when will the ICAR AIEEA Notifications be released? Ans: The ICAR AIEEA 2019 Notification will be released in March 2019. Q: Can I get admission into any UG/PG agriculture without writing ICAR AIEEA? Ans: No, there are no direct admissions for any Bachelors or Masters Agricultural programs. Qualifying ICAR AIEEA is mandatory. Q: If I make an error while filling out the application form, can I send in a second application form? Ans: One applicant can send in only one ICAR application form. Multiple forms will either get rejected or cancelled. Q: I finished my 10+2 in the year 2016 and I am 20 years of age. Am I eligible to take the ICAR 2019 exam? Ans: Yes, you are eligible to apply for ICAR 2019. The lower age limit for UG program is 16 and for PG program, it is 19. Q: I am from the OBC(NCL) category and I would like to apply for ICAR PG Scholarship. I would like to know if there is any reservation for OBC(NCL) or for UPS Category. Ans: There are no reservations for the scholarships for any candidates. Q: What are the age limits for ICAR UG and PG courses? Ans: The lower age limit for UG and PG courses are 16 and 19 respectively. There is no upper age limit for ICAR AIEEA 2019. Q: Will I receive my ICAR 2019 admit card by post? Application Start Date: Online ICAR AIEEA 2019 Application Form submission starts from 1st April 2019. Application End Date: Last date to apply for ICAR AIEEA 2019 UG/PG exam is on 30th April 2019. Exam Date: ICAR AIEEA 2019 UG/PG Examination will be held on 1st July 2019. Result Date: ICAR AIEEA 2019 UG/PG Results will be announced on 17th July 2019. Admit Card: ICAR AIEEA 2019 UG/PG Admit Card will be available by 5th June 2019. Aspirants are eligible to apply for ICAR AIEEA 2019 UG courses if they are Indian Nationals and at least 16 years of age as on August 31, 2019. Completed (10+2) with an equivalent degree. Candidates should have cleared their qualifying examination with not less than 50% aggregate if they belong to General, OBC and UPS categories. The minimum percentage to be scored in qualifying examination by SC, ST, and PC category students for admission is 40%. Aspirants need to be Indian nationals to meet ICAR AIEEA 2019 PG eligibility criteria. Candidates are eligible to apply for AIEEA PG exam if they are not below 19 years of age as on August 31 2019. No relaxation will be given to anyone with respect to the minimum age limit. Candidates meet the eligibility criteria for AIEEA PG exam have to clear or are in the final year of their Bachelor degree such that they are pursuing their course from a recognized university in the concerned stream/field under 10+2+5 (BVSc & AH), 10+2+4, 10+6 years degree programmes. Official Website: Candidate needs to visit the official website of ICAR AIEEA UG 2019 and AIEEA PG 2019 was available in online mode. No Correction: Candidates need to fill the application form carefully, no correction is made once after the submission form. Documents: Candidates have to upload scanned images of the photograph with name & date, signature & left-hand thumb impression (for boys) & right-hand thumb impression (for girls). Submission: Candidates are allowed to submit only one application, more than one application will be rejected. Fee Payment Proof: Before sending the hard copy of the application form, candidates must check the proof of fee payment has been attached. Fee Payment: Candidates have the option for payment of examination fees either using the credit card, debit card, or Net Banking using Payment Gateway of Canara Bank. Candidates have to apply for ICAR AIEEA 2019 only through online from the official website and are also downloadable. Availability: The online application is available from 1st April 2019 to 30th April 2019. Details: Candidates name should be given as per the 10th standard marks certificate and enter required details like category, academic details. Eligibility: Candidate's Date of Birth as mentioned carefully matching the eligibility criteria. Qualification: Candidates have to select the State/ Union territory/ Foreign Country from where he/she completed his/her 10+2. Domicile: Further, from the drop-down list, candidates have to select their Nationality. Documents to be uploaded: Candidates have to upload the scanned copies of their recent photograph and signature using the option of upload file on the screen. Official Website: Visit official website site of ICAR AIEEA and click on admit card link. Credentials: Enter details like registration number and password in the provided space. Submit: Click on the login button to submit the details. Admit Card: The admit card will be displayed on your screen. Print: Download and take print out of the admit card. Questions: UG AIEEA exam pattern consists of only single question paper containing 180 multiple choice questions. 60 question will be asked of each subject. Duration: The questions will be asked in Physics, Chemistry, Mathematics, Biology, Agriculture and duration of examination for 2 1/2 hours. Subjects: The overall paper has five subjects, but candidates have to attempt only three. Marks: A total number of question paper will be of 720 marks and medium of examination is English and Hindi. Marking Scheme: For the correct answer, 4 marks will be allotted to the candidates and there is a negative marking of 1 mark for every incorrect answer. Questions: The question paper of AIEEA PG admission test for each of the 20 major subject-groups consists of 150 MCQ type questions and 10 cross-matching type questions and question paper will be 650 marks. Marking Scheme: For the correct response, 4 marks (for MCQ) & 5 Marks (for cross-matching type questions) will be awarded to the candidates. Negative Marking: There is the provision of negative marking of 1 mark for every MCQ incorrect answer and 0.2 marks for incorrect matching type sub-question/pairing. Science technology and agri-Business Management. Declaration: ICAR declares the result of AIEEA UG 2019 and AIEEA PG 2019 on 17th July 2019. Official Website: Aspirants can check the result online through the official website of the council. Merit List: In case of candidates getting equivalent ranks in the Entrance Examination, a relative merit-rank list will be resolved on the premise of marks acquired in the fundamental subjects Mathematics(PCM)/Biology(PCB)/Agriculture (ABC/PCA) in AIEEA-UG Examination. Counselling: In case if both candidates get equal marks candidate with higher age is preferred. Category-wise final merit-rank list for counselling might be prepared based on the reservation category data given by the candidate in OMR Answer sheet. Seat Allotment: The seats will be offered based on the merit obtained by the candidates in UG and PG All India Entrance Examination. The counselling for UG & PG courses starts from 7th July 2019 and organized through online mode. Enroll: Candidates have to enroll in the counselling procedure. Only qualified candidates will be considered for admission to the Agricultural Universities. Categories: Candidates have achieved a minimum of 50% marks for General and UPS categories and a minimum of 40% marks for SC/ST/PC categories in the Entrance examination. All certificates and mark sheets/grade reports, in original related. Candidates from SC, ST and non-creamy layer of OBC categories, Original Certificate as per Central Govt. requirements and issued by Competent Authority. Medical Certificate in case of Physically Challenged (PC) candidates issued by Medical Officer. Date of Birth (DOB) Certificate issued by Government of India or else proof of age(voter card). Admit Card, hard copy of Online Application Form and letter issued by the ICAR to qualified candidates related to admission. Passport size color photographs with name and photocopy of the Application Form. Aadhaar card or Residence certificate. I got admission through icar exam. The cut off for the exam is 50%. Eligibility criteria are plus two. I also, repeat one year as entrance coaching. Eligibility - 10+2 high school with minimum 50%(gen) and 40%(SC/ ST). 60% in 12th class marks.No entrance MCAR exam and ICAR marks are considered. The student must secure at least 50% marks in 10+2 or equivalent exam to be eligible to give the exam, admission is through college entrance exam or by ICAR examination, the cutoffs for B.sc agriculture is rank should be under 100. After completion of 12th, u can apply for ICAR Undergraduate exam and based on your rank you can apply for different universities and take admission in different colleges under that university (college are given by university, you can only choose university) State is also taking exam for local candidates But for ICAR students don't confuse yourself as the ANGRAU university has been divided and shifted from Hyderabad to Guntur AP, after the bifurcation of Telangana state, so the status of this university has been reduced now. The entrance exam for this college is ICAR exam. BSC agriculture to be completed by ICAR examination or state entrance examination it depends on the competition.